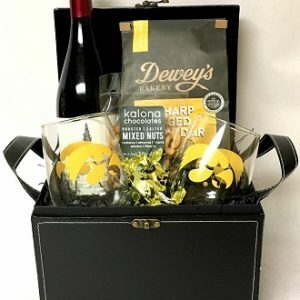 Iowa Breweries have some great beers! 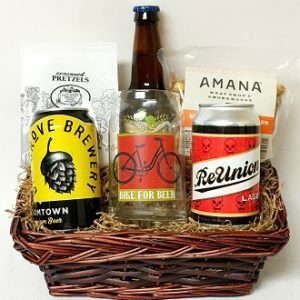 Inside this basket are four beers of your choice. 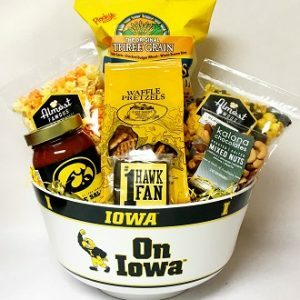 Included in this design is Backpocket Hawktoberfest, Lake Time Brewery Haze of our Lives NE IPA, Lion Bridge Olde 17 Irish style stout, Big Grove Boom Town golden ale along with these snacks, On Tap Kitchen honey mustard pretzels, Wildwood Farms party mix, Triple T beef sticks and Almost Faomous Popcorn. 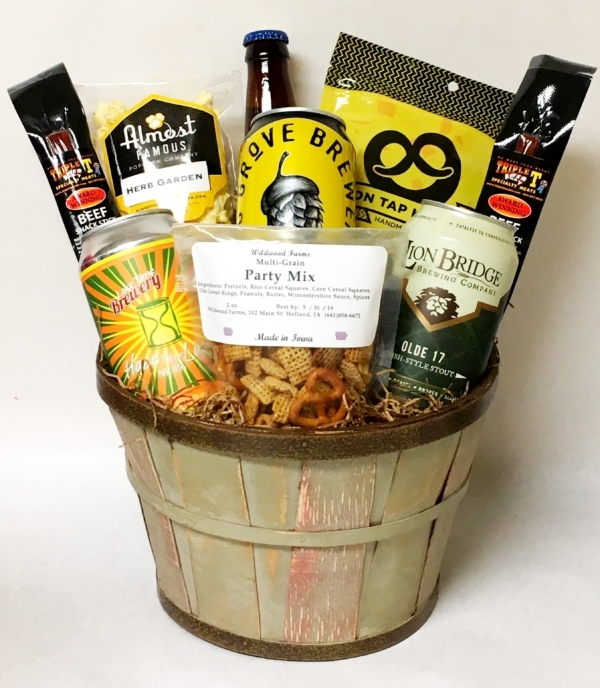 What beer lover wouldn’t love receiving this basket?ReUnion Brewery, Exile Brewing Company, Millstream Brewing, Firetrucker Brewery, Kalona Brewing beers are just a few of the many beers available in this basket. 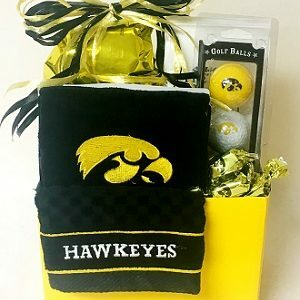 Larger baskets are available.